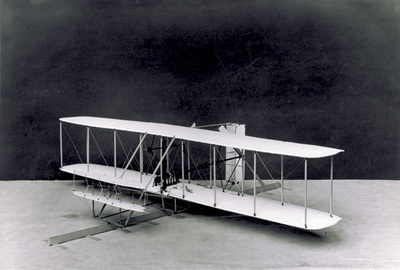 Three-quarter front view of a model of the Wright 1903 Flyer. Note on back, "Purchased at Museum by J. K. Owen (N.C.R. ), June 1947 & given to O.W. [Orville Wright] July, 1947." This photograph is attributed to the Science Museum, London, England.